Create vibrant, large-scale signs, banners and point-of-purchase displays with our line of Infographics and Poster Printer. With high speeds and an emphasis on red ink, featured in Canon’s LUCIA EX 6-Color pigment ink system, these solutions are ideal for creating vivid and eye-catching prints to help draw your viewers in. 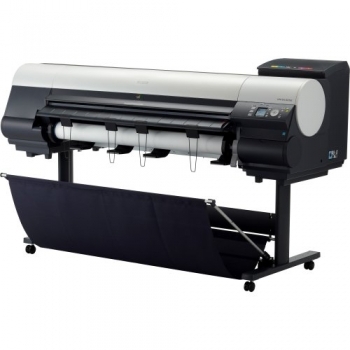 PPT Inc, is the leading Epson wide format dealer in the central Texas area with the nation’s leading technical department able to cover the whole state. Graphic Arts Printer 6-color large format pigment ink system printer adds Red ink to the standard lineup of Cyan, Magenta, Yellow, Black, and Matte Black, to help produce posters and POP materials with vibrant color. This helps create output that’s suitable for small retail stores, restaurants, or service businesses that produce their own in-store posters on the premises.